Sunny Sunday: Learning about herbs – Where is Naoko? I know, there is nothing sunny about the photo or you don’t see any herbs. These are samples of infused echinacea. 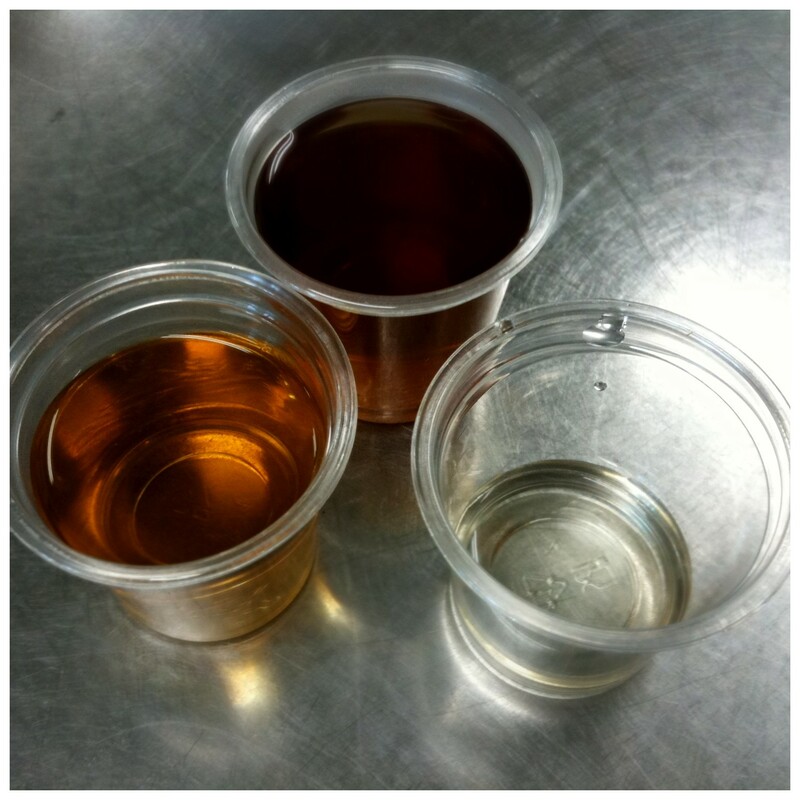 From the top, clockwise: brewed from water for 10 minutes, tinctured (pre-made) and diluted with water, and brewed with hot water for 3 minutes. We also tried the same methods for elderflower, then made a bottle of tinctured elderflower. I took this phytochemical class/workshop with a friend who is into soap making. I’m not quite ready to get into making soaps and other concoctions yet, but I will be making better herbal teas now at least. And maybe herb-infused elixirs. As I know echinacea is good for immune system. I like its taste. I drink it time to time as herbal tea. I wish you success in making herbal teas. The echinacea tea was pretty good! Brewing time and temperature drastically change the taste. Gambatte with the photography – R.S. 🙂 Thank you. I went to high school & collage in the US and lived there for over 10 years total. I’m just a beginner when it comes to photography (with SLR especially) but I love taking photos with my iPhone and playing with filters.